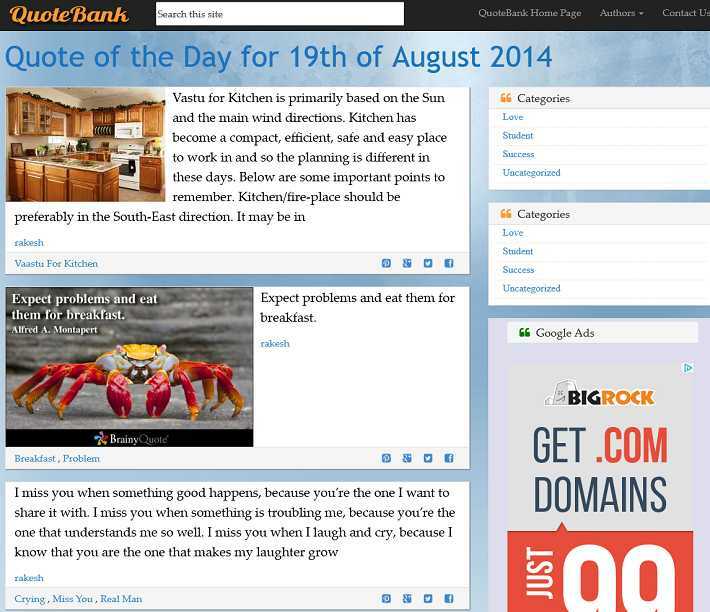 QuoteBank is our new Responsive Niche WordPress theme for Quotation website. Like my previous two money making Niche WordPress themes for Wallpapers and Funny Images, the aim of this theme is also the same- Create it and forget it. Quotes Website Templates is also featured on my 8 Script to make money online without doing anything, at that time,I introduced one script found on codecanyon but later on removed by the author, thus a lots of people asked me to give them some alternate source. Google Adsense optimized – Adsense are visible after 2nd Quote and 4th Quote, you can decide from admin panel. Compatible upto WordPress latest version. With Every purchase you will get QuoteBank WordPress Theme in ZIP format + Sample Data + Full Documentation + My personalized help on one Domain of your Choice + all future updates free of cost. Is this template still available for sale? If so, please let me know. You can email me in INR so that I can transfer to you directly instead of Paypal as I have problem making payments using my paypal account. Thanks. Thanks. I replied your email. Talk soon. Lebanon again, I was wondering if we can add quotes in bulk in this template. Suppose, in an excel file, 1st column for Quote text, 2nd column for Author name, 3rd column for Topic, 4th column for Tags etc.. Is that possible? Hi Lebanon, Have not checked anything like this but I am sure there will be some plugins that can surely help you to achieve your goal. Is Paypal your only mode of payment? And does the theme support Grid Layout? Right now we have to options 1. Paypal 2. if you do not have paypal then kindly acknowledge us. we will make this theme available on gumroad.com – at gumroad you do not need paypal to pay us. This theme also support grid layout. 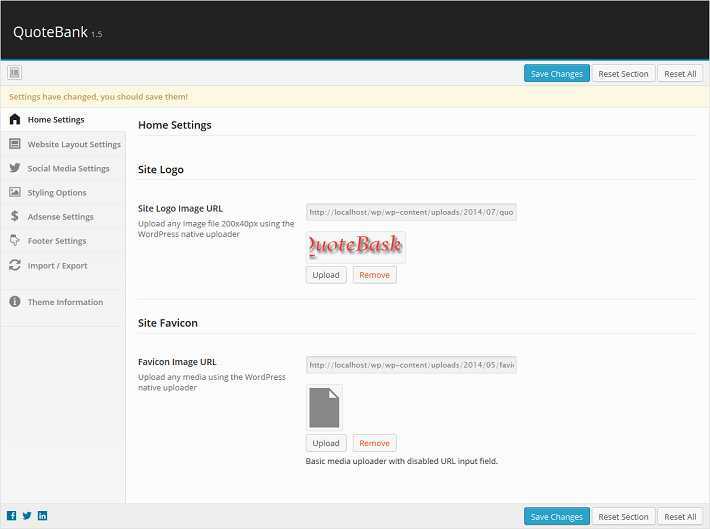 Layout you can change from the theme admin panel. hello sir,i am student and just trying to create a website and i can spend only 500rs.can u help me. Hi Abhinav, If you can only spend 500rs then first of all book a domain name with rich keyword and then attach that domain with blogger. In 500rs you can not have any hosting. 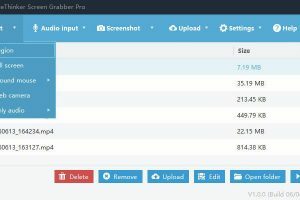 Only blogger can help you to generate a website in these 500. Best of luck for your new website. I ordered your theme earlier today but have not yet received it. When will this happen? Hello, I’ve made a payment for the theme but couldn’t find a way to download files. I have bought your quotebank theme 2 months ago. But some features like tags, authors, popular post, quote of the day do not work. How can I fix them? Hi Sanjeev, A separate email has been sent to you regarding payment option containing my bank details. Please check it. Install isn’t working. Says it’s missing the style sheet. What should I do? Is there any way to import the quotes from excel? Hi Khairun, It depends on the Excel structure and other related factors. Could you share a small part of your excel file so that we could develop something for such situations. Right now we do not have any such plugins. We have given options to post each quote one by one. Looks good. But why not for the newest WP. Can you fix it? This theme is cool but as it dont have any title for every post then how google will pick titles to give traffic as it is not seo friendly. Title will be there very much but will not be there on output screen. other ranking factors can be involved in this case like url, image and seo description. This is a great theme. Really a help for future reference. Thanks for posting. Dear David, Thanks for this Wonderful Feedback but I think like others you could not even Guess the traffic such sites receive from search engines. Nice responsive theme. 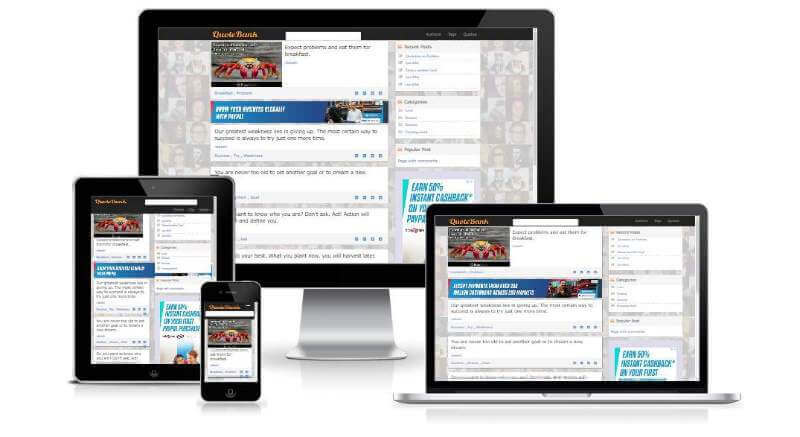 Submit your theme in some wordpress theme network sites which will drive some sales in your account. 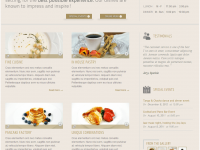 Hi pankaj, Thanks for your nice suggestions about this WordPress theme for Quotation Website. Hello sir, QuoteBank is very great theme. It has lots of feature. especially Adsense ready theme.